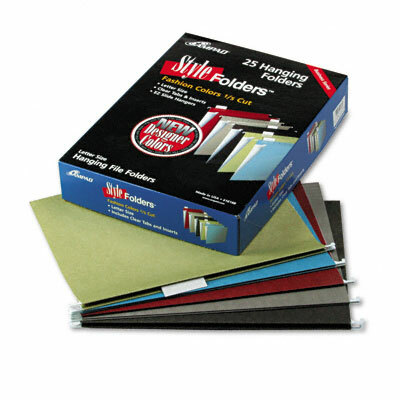 Add a stylish touch to home or office files. Letter size, 1/5 cut. Package includes clear tabs and white inserts. Black, charcoal, fiesta red, sage and spectrum blue.